grandma's cookie jar: God Knew What He Was Doing . . .
Far too often this world makes our grandchildren think they are "less than", or need to be something other than who God created them to be if they are to find true "happiness". But, the truth is God knew what He was doing when He created them - He did not make any mistakes at all! 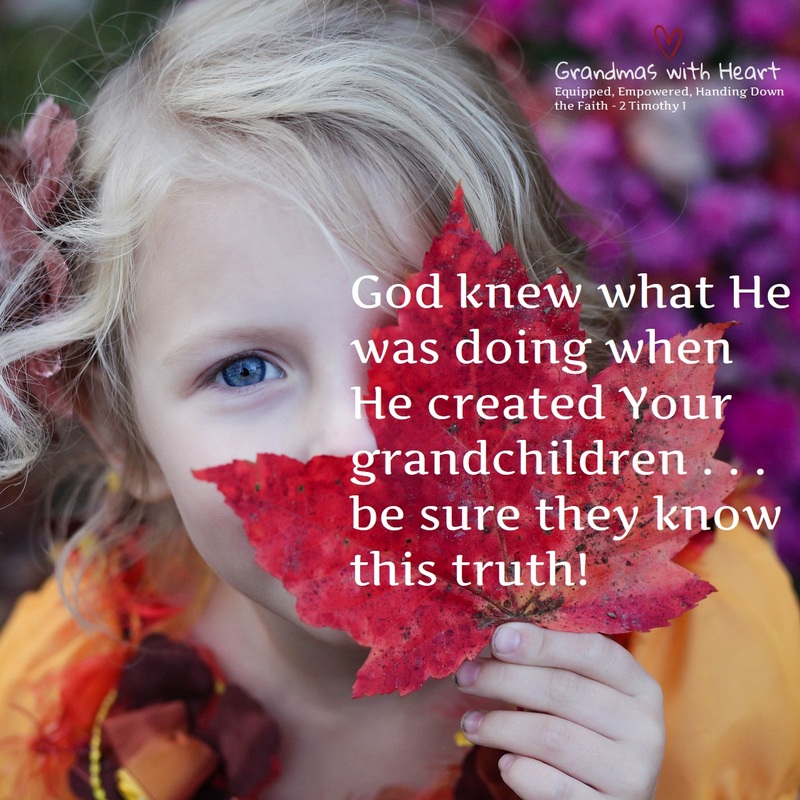 They are exactly who God created them to be and they are full of value - be sure to communicate this truth to them on a regular basis.